Metal building dealers are a dime-a-dozen, with more popping up online all the time. Increased competition in the industry can be a great thing for buyers! But with so many players in the market (translation: people trying to sell you something), it’s more important than ever that you do your homework before spending your hard-earned dollar. Many dealers will say that they’re the best, but just because they say it doesn’t make it true. How do you know who to trust, and who will really give you the best deal on a steel structure – not just in terms of price, but in terms of real value? Do a little research, and you’ll learn that a good metal building supplier will be open to discussing much more than just their metal building prices. In fact, a great metal building provider will offer you more than just competitive prices; their value proposition will be based on much more than simply trying to lure you in with yet another so-called, price-slashing “discount.” We’re not saying that all discount metal building dealers are bogus, but you definitely need to know how to separate the wheat from the chaff. An informed buyer is a smarter buyer! Are you real people? Where’s your office? Can I come see you? A great metal building provider – a company you can trust – will have a real office and real people you can actually see and meet. If the company claims to be all that, they should also be proud to show you what their office looks like, what they do and how they do it, and introduce you to a building specialist and maybe even one of their engineers. Doing business online is fine, but a reputable online dealer will still have an office you’re invited to visit in person, if you’re able to make the trip. Do you actually serve my local area?Many dealers claim to do business nationwide, but once you start inquiring you may learn that there are states and even entire regions in which some “nationwide” dealers don’t deliver or install at all. To save yourself some frustration, you should verify whether a building provider can serve your location before you get too far along in the process. Are you on BBB? What’s your rating?The BBB (Better Business Bureau) is the voice of consumers and buyers. It’s an objective platform that exists to shed light on the truth about companies and how they do business, and to help consumers make more informed purchasing decisions about products and services. If the supplier you’re considering only has a handful of BBB reviews, ask them why. And if they have a generally bad BBB reputation … keep looking for another provider. There may be legitimate reasons why a company occasionally receives a lower rating, but that should definitely be the exception. There are some companies out there with great overall BBB reviews; pay more attention to those companies. If a lot of actual customers have positive things to say about a company, that should also say a lot to you. How big, and how long? These are really just extensions of question #1. How big is your company? What can you tell me about your team? How many years of combined experience are represented? How long have you been in business? How many customers have you served? The answers to these questions will give you insight about the true nature of the company, and about how capable they are of truly meeting your needs and providing the best solutions. Have they stood their ground over time and still offered value? If so, they’re more likely to still be around when you need them for something down the road. What’s your manufacturer qualification process? It’s always better to go with a dealer who qualifies the manufacturers with whom they choose to partner. Why not just go directly with a manufacturer? Sometimes a single manufacturer may be too small to offer comprehensive services; in other cases, the manufacturer may be too big to care about your individual needs. Some carport manufacturers’ BBB profiles prove that they treat customers as little more than a number. They don’t care whether you get your building on time, much less whether you’re getting the right building for you in the first place. Better to go with a dealer who vets each of its manufacturer partners for high standards of quality, workmanship, and service. A dealer that maintains healthy, mutually-beneficial relationships with multiple manufacturers also has more clout to help you get the building you need, the way you need it, when you need it, all at the right price! Do you provide engineered drawings, and can you help pull permits for me? While no steel building company can actually pull a permit for you, a helpful dealer can walk you through what you need to do to obtain the correct permits for your local area. A better dealer should also be familiar with what permits are or aren’t typically needed for your specific location. Is the dealer you’re considering still helpful once they realize that you’re going to need to pull some permits, or do they start to lose interest? And if a company is able to provide engineered drawings for your building, that’s a good indication that they have a solid engineer backing in-house, as well. What’s the buying process like, and what are the next steps? A well-organized and run company can tell you where your order goes next. They will clearly outline every stage of the process, who you’ll be dealing with, and who your contact person is – from building design and ordering, to fabrication, to installation, to beyond the sale. A great company will also be able to provide accurate timelines on delivery and install, and will inform you about what steps you should follow to ensure your site is properly prepared for a smooth setup on the day of installation, with no unexpected hiccups. Are you just trying to sell me, or do you really seek to understand me and meet my needs? The goal of a great metal building provider should ultimately be to understand you and serve your unique needs, above and beyond merely trying to “get a sale” from you. They should start by taking the time to truly listen to you and learn how you want to use your building. Once they understand your situation, a great dealer can then come alongside and help you to find the best steel structure solution to meet both your needs AND your budget. We’ve all dealt with annoying salespeople, and the metal building industry has its fair share of those, too. Don’t be bullied into a quick purchase of something that isn’t really the best fit for you, and don’t get stuck in a contract with a company who doesn’t really have your best interests at heart. Do you have the best price? Funny that we saved this question for last, since it’s probably the first question people ask when shopping for anything! Note how you should phrase the question, though. It’s not just about having the lowest price, it’s about having the best price. What’s the difference? Many “discount” dealers will try and wave what looks like a low price in front of you, but it may not actually be the best price for what you want and need in terms of quality of product, service, and customer experience. Sometimes a cheaper building is really just that – cheap. Cheap in terms of components used, poor fabrication, sloppy assembly, job not finished on time, poor communication, and no follow-up with the customer. Sometimes saving a few bucks really isn’t worth the headache and hassle, and it certainly isn’t worth the risk of ending up with a bad long-term investment. Metal buildings are a great solution for storage, protection, and many other custom applications, and they carry many advantages over stick-builds. Steel structures are more cost-effective, durable, pest-resistant, and fire-resistant than comparable stick-builds, and are often less expensive to insure as a result. 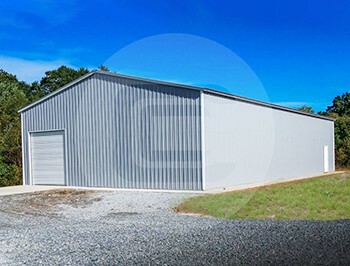 Metal buildings are also more easily adaptable and customizable than wooden barns, carports, garages, and workshops, and are the most reliable choice for effectively sheltering your belongings. However, it’s important for you to make smart choices upfront. 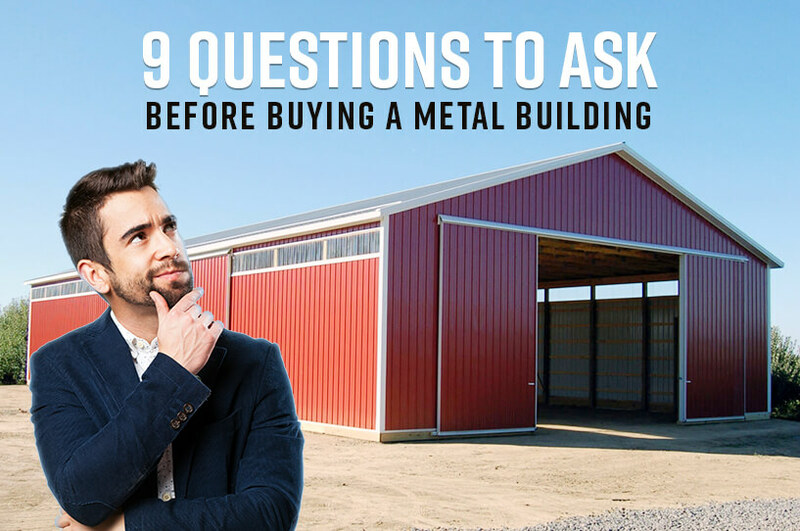 Ask these questions we’ve listed above, and you’ll have a sound buying guide that ensures you’re getting the absolute best return on your metal building investment. For your peace of mind, it’s best to do business with a dealer you can trust, who provides quality products they stand behind, and who makes your buying experience as pleasant and painless as possible. And if you want to find a dealer who can check off every box on your question list, look no further than Carport Central! Great rent-to-own and financing options available, too! Carport Central is about much more than just selling you a metal building; they’re about providing shelter for your way of life. 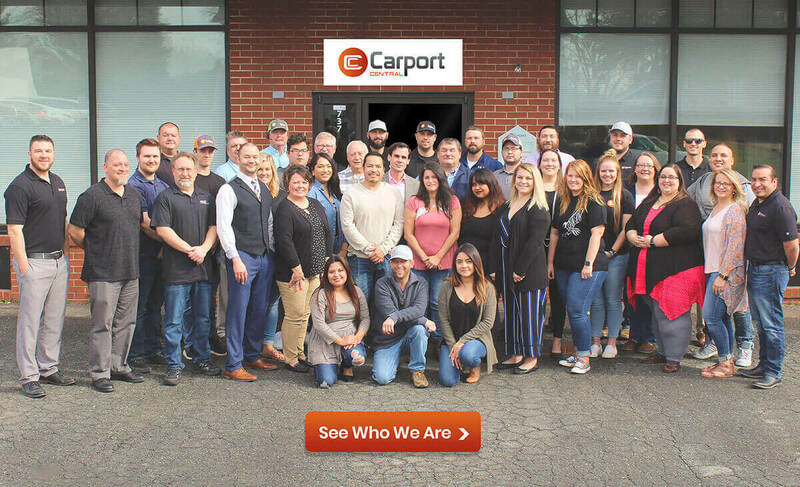 Check them out online or give them a call at (844) 860-4950, and experience the Carport Central difference for yourself! It&apos;s fast and easy. Get your instant quote today! Looking For Metal Building or Structure with Free Delivery and Installation?